Grass cutting is a weekly ritual for most home owners young or old. We can assist in beautifying your lawn while you rest. 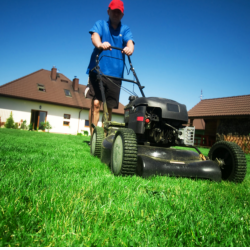 We want to take the load of home yard maintenance to the next level by either helping you or by way of assistance for all grass cutting needs. As your friend, we promise to make life easier by doing this chore so you won’t have to and you can enjoy other things or activities at your leisure. As we age, yard work becomes boring and it gets harder but we work harder so you don’t have to sweat the small stuff. Just Heavenly…this is what we call it!